Welcome to the quarry. Your tee shot arrives into what use to be the old Rock Quarry. The canyon guard’s hook shots and old gravel mounds protect the right side of the fairway. This hole has the smallest green on the course and that makes it very difficult to reach in two. Any shots right of the green will fall into a deep pit area. 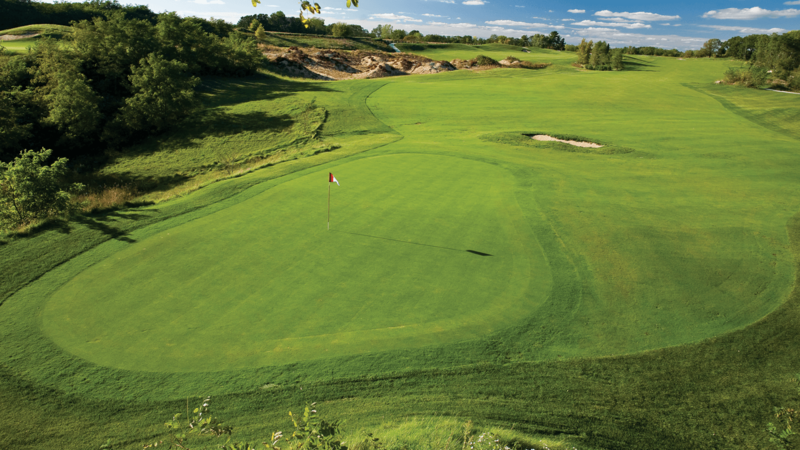 The best play is to lay up short of the green, leaving you a short iron to the green.